Mine: Terrific film with humor and gut wrenching truths. Driver brings a presence that is nothing short of compelling, The final real life images are devastating, Highly recommended. 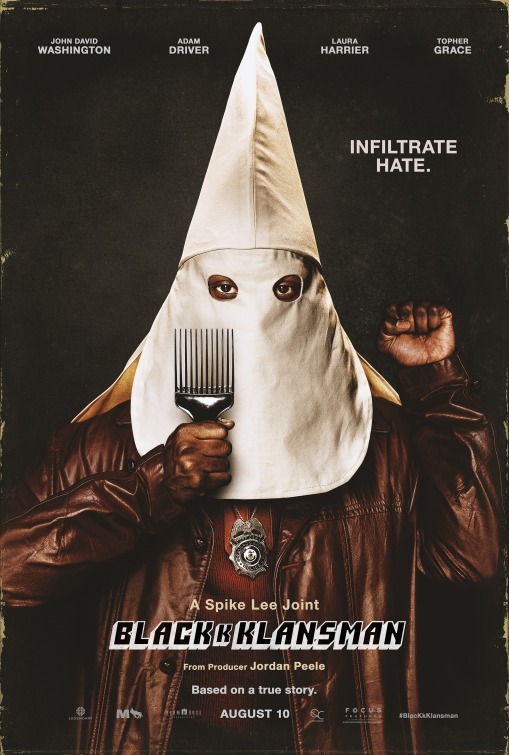 Leonard Maltin/Plot synopsis: Ron Stallworth, an African American police officer from Colorado Springs, CO, successfully manages to infiltrate the local Ku Klux Klan branch with the help of a Jewish surrogate who eventually becomes its leader. Based on actual events.